How To Open Or Close Different Periods In Oracle R12!! It's quite easy to open or close these periods in R12. You can follow the steps below to open or close these periods in Oracle Apps R12. Note: If it prompts for selecting Operating Unit, select it and click Go button. 2. Now open the periods by changing the "Period Status" and click on "Save" button. 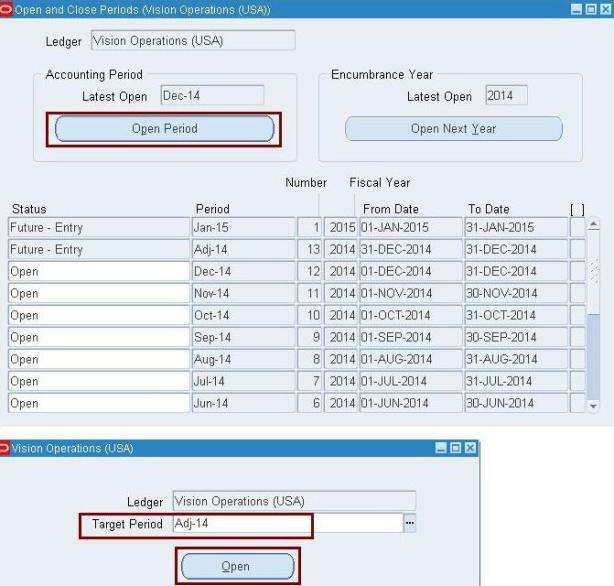 when the form open select the desired Ledger from the LOV and click on "Find" button. After clicking on Find button following form will open. 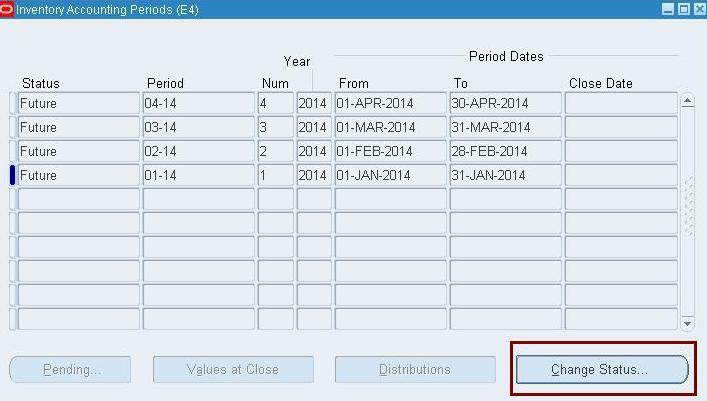 Now open the required periods by clicking on “Open Period” button, select the required period as "Target Period" and click Open button. Ensure to Save the transactions. and select the Inventory Org from LOV. 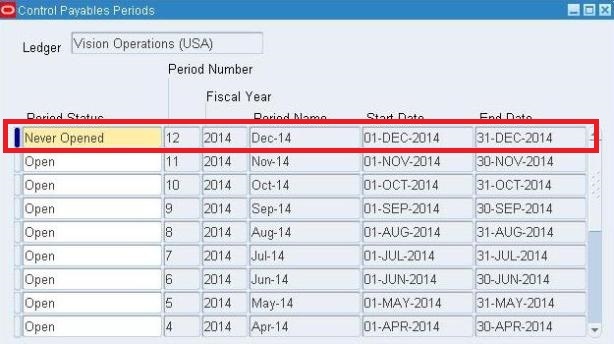 Oracle Apps Guy: How To Open Or Close Different Periods In Oracle R12!! How To Open Or Close Different Periods In Oracle R12!! 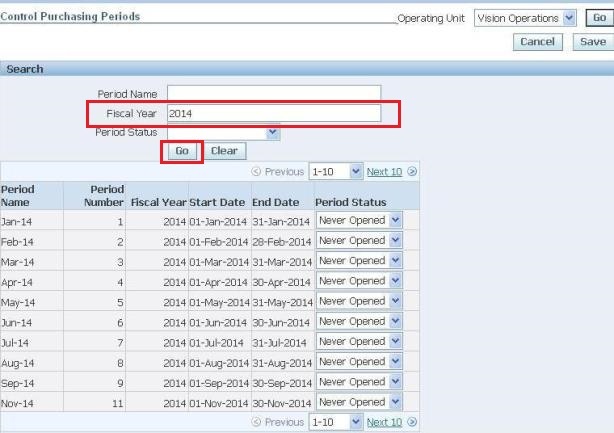 How to open Purchasing, Payables,GL and Inventory Periods in Oracle Apps R12 version.